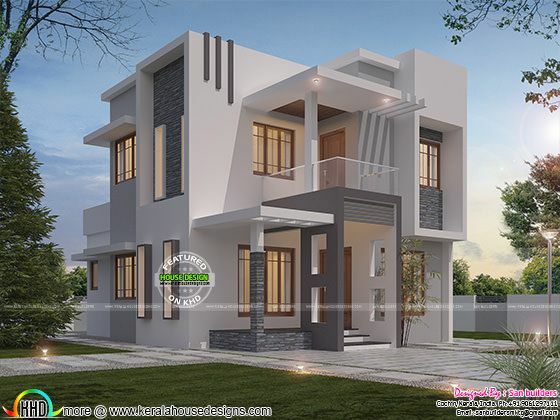 Contemporary style small double storied villa in an area of 1500 Square Feet (139 Square Meter) (167 Square Yards). Designed provided by San Builders, Cochin, Kerala. 0 comments on "Contemporary style small double storied villa"